Today people across the country will gather outside congressional offices in support of diplomacy over war. We have only a few weeks to convince members of Congress to support the historic deal to limit Iran’s nuclear program. If hawks get their way and are able to sabotage the deal, it would put us back on the path to confrontation with Iran and greatly increase the possibility of war. Our friends at MoveOn, WinWithoutWar, Democracy for America, Credo, and numerous other organizations have organized a Day of Action for today, August 26. 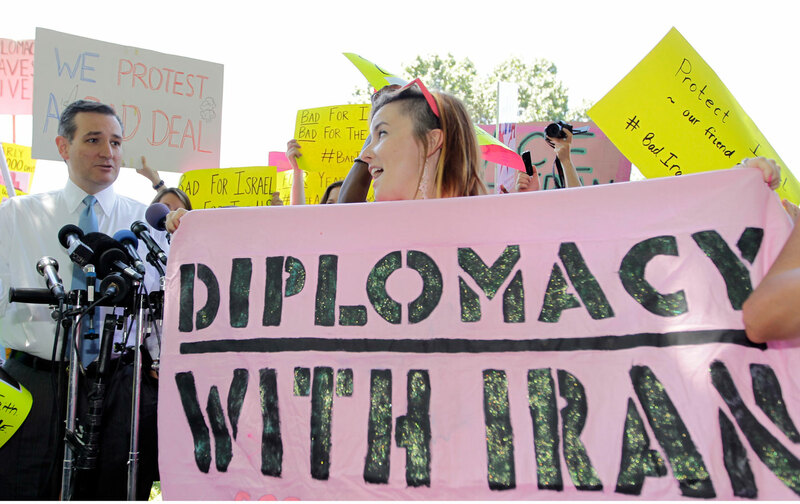 To ensure that members of Congress hear from their constituents before they return from summer recess, people across the country will gather outside congressional offices in support of diplomacy over war. Click here to find an event near you. If you can’t make it to a protest, you can still be a part of this historic day of action. MoveOn will be hosting a thunderclap on Facebook, Twitter, and Tumblr. And if you haven’t done so already, be sure to join the nearly half a million Americans who have signed our petition to members of Congress demanding they choose diplomacy over war.